JOHN MONKMAN ON T1000 RADIO TONIGHT! 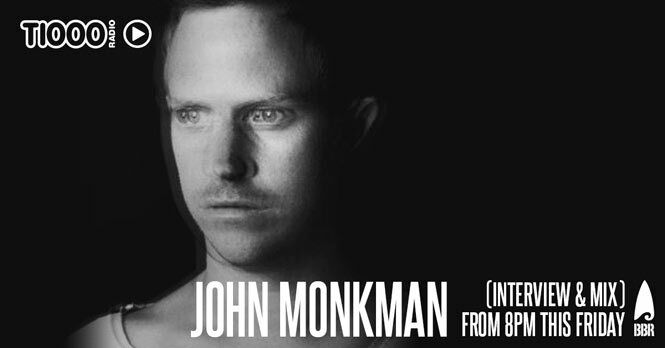 One of the nicest guys and biggest talents, John Monkman has become known for his silky-smooth genre-bending productions. A stablemate of some of the world’s greatest labels, he continues his run of top releases with his latest EP ‘Trusting Source’ signed to Noir Music. Now he joins T1000’s Eddy Wells for a chat and a mix! Tune in here from 8PM tonight! You can check out any of our previous shows on our T1000 Radio Soundcloud. Comments Off on JOHN MONKMAN ON T1000 RADIO TONIGHT! T1000 RADIO JOINED BY BEN NOTT TONIGHT! T1000 RADIO’S 100TH SHOW SPECIAL!